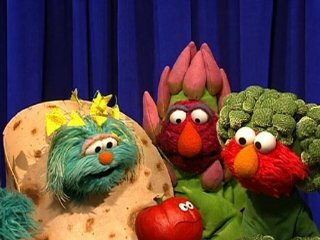 On the Sesame Street website there is a video called The Get Healthy Now Show. A 23 minute show staring Elmo, Rosita, Telly Monster and other characters that sing and dance about eating healthy. Its soooo cute my son has it on DVD and loves it. He squeals as loud as he can, waves his hands all over and smiles so big when I put it on for him. They talk about how you need to eat 5 fruits and vegetables everyday and have the cutest singing and dancing group of veggies and fruits, its his favorite part. 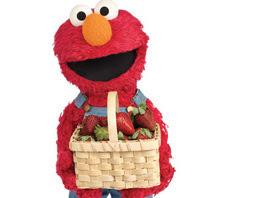 Plus Elmo talks about needed to exercise daily. It is on this page on the far right hand side the second video. It is called the Get Healthy Now Show, it is the 23 minute long video. I recommend showing it to your kids for them to see a fun and helpful message. Plus its Sesame Street gotta love that!